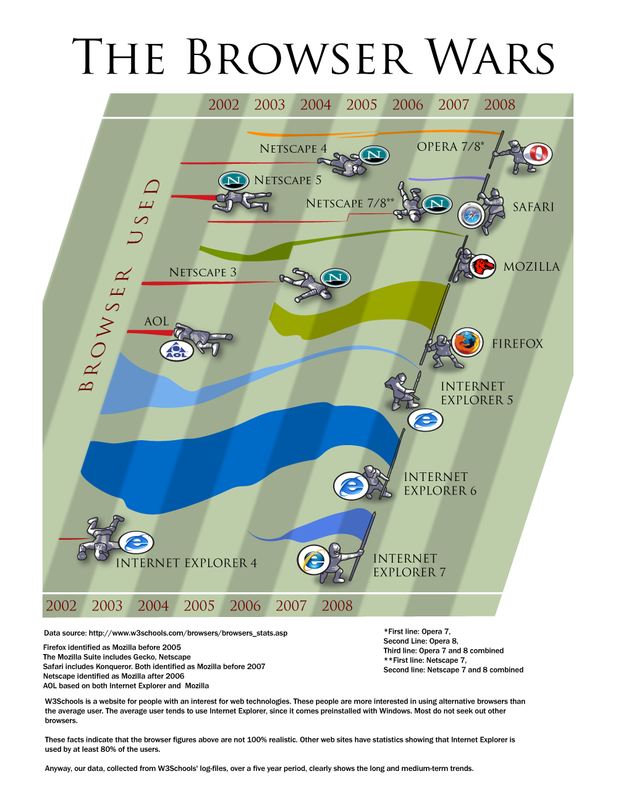 Illustrating the changes in browser usage among website visitors over the years. This illustration was made as part of an application for a graphic design job on a newspaper. You are welcome to print this artwork for personal, non-profit usage. I've not put this up for sale as a print, as the data is quite old now, but I'll be updating the whole chart soon. Use the Gallery Update options on the left if you'd like to know when it's available.